Cost to install slate roof varies greatly by region (and even by zip code). Get free estimates from roofers in your city. Cost to install slate roof varies greatly by region (and even by zip code). The average cost of installing slate roof is $15,000 - $20,000. How much does it cost to install slate roof? Slate 1 is a fine-grained metamorphic rock formed under very high pressure and heat underground. Though its high cost and difficulty of installation make slate an unsuitable roofing choice for some homeowners, you can often see slate roofs on old homes, churches, and government buildings. Some of the most popular reasons for slate roof installation are its high quality, natural beauty, longevity, and durability. 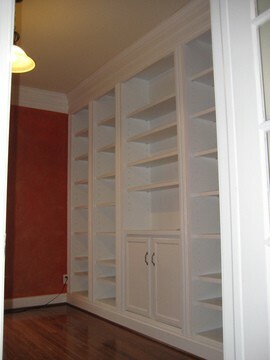 On an average, the installation of a 1,500 sq.ft. semi-weathering slate roof with 3/16” thick tiles will cost around $15,000-$30,000. A slate 1 roof is a huge commitment, both in terms of time and money, because of which it is important that you know all the pros and cons before you decide if it is the right choice for you. Slate roofing tiles are beautiful and classy and add to a home’s resale value. They are available in a variety of sizes, colors, and thicknesses to suit any architectural style. As a stone, slate is highly dense and impervious to water. It will not be affected by fungus and mold and is very easy to maintain. Slate is naturally fireproof, which is advantageous when it comes to protecting your house from wildfire or stray sparks from fireworks. Slate is very durable and long-lasting. A properly installed and maintained slate roof can easily last up to 150 years or more, saving you a lot of money. Slate tiles do not emit any VOCs, last longer than other roofing materials and can be recycled, which makes it one of the most eco-friendly roofing options. Slate tiles are very fragile and can break if you step on them carelessly. Finding a replacement that matches the exact size, thickness, and color can be difficult since slate tiles are usually manufactured in lots. Slate roof installation is costly. 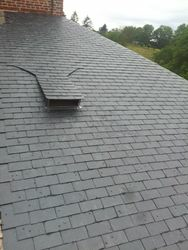 Slate roof installation requires a specialist with expertise. Not every roofing contractor can do the work properly. A shabbily installed slate roof will cause the homeowner major problems later on. 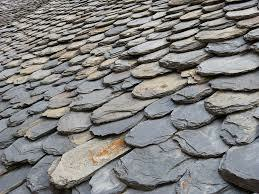 Slate roofing tile is very heavy (about 8-15 pounds per sq. ft.). So before installation, you will have to get your home’s structure evaluated to ensure it can bear the weight. All existing roofing materials must be removed down to the substrate before new installation. The roof deck can be made of long-lasting rough-sawn lumber, either green or air-dried. One inch or ¾ inch thick boards are normally used. Also, older homes typically have a layer of 30 lb roofing felt underlayment 2 under the slate 1. While the felt may have deteriorated with time, the slate roofs are still intact. 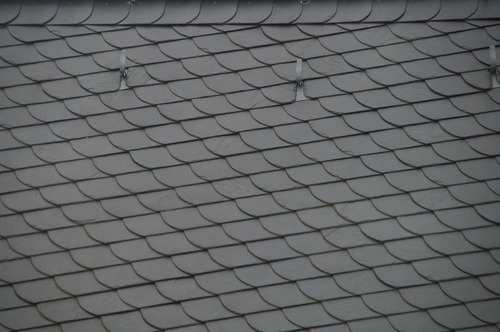 In fact, properly installed slate roofs do not require underlayment. While you can use the underlayment to keep out the water or protect the building until the roof is installed and to mark the chalk lines, its use does not affect the functioning capability of the roof. However, some modern contractors still use a single layer of 30 lb felt underlayment ($16 for 36”x72”) and a double layer in cases where the roof is left exposed for a long period of time before laying tiles. 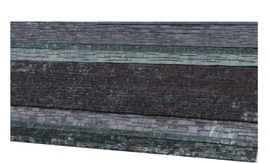 Both natural and synthetic slate 1 may appear to show no difference from a distance. However, when it comes to real slate, you will observe that no two tiles are exactly alike. Synthetic slate are uniform in color and appearance. While slate 1 tiles may come in a variety of colors, shapes, and sizes, there are basically two types of natural slate, hard and soft. S1-slate is the hardest and most long-lasting slate. S2- and S3-rated slates are soft slates and become crumbly toward the end of their lifespan. Most slate experts will be able to tell if a slate tile is hard or soft just by tapping on it. If you are planning to repair a slate roof, you should first determine if it is hard slate or soft slate. Hard slate can probably be restored, while soft slate may have to be replaced. When compared to natural slate 1, synthetic slate is lighter, more affordable, more durable, and easier to install. Based on the type of materials used in synthetic slate shingles 3, they can be classified as follows. Slate 1 roofing tiles are available in a variety of colors such as grey, purple, green, black, and red. You can also choose mottled tiles with a number of colors mixed in together. While all slate tiles exhibit some change in color on exposure to weather, the color variation may be barely noticeable in some slates and more in others. Slates in which the color variation is pronounced are called weathering or semi-weathering slates. Similarly, slates in which the color variation is very slight are known as permanent or unfading slates. Some manufacturers offer a warranty for the slate color for up to 15 years, which means you will not have to worry about fading. 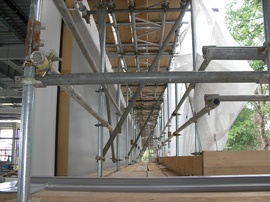 Since the nature of the project requires expertise and experience working at heights, DIY is not recommended. Also, because there are fewer roofing contractors skilled at installing slate 1 roof, costs are a bit higher. The height and slope of the roof, number of dips and ridges or other obstacles, and the time of the year are other factors that affect installation and labor costs. For example, a steeper roof requires more staging 7, preparation and labor to complete the project safely. Always get the right size slate tiles for your roof. The smaller the tile size, the heavier the roof will be. Standard slate tile sizes range from 6”x10” to 14”x24”. If you are using 6”x10” tiles, you will need around 686 tiles to cover 100 sq.ft. Smaller tiles also involve more nailing, which increases labor costs. If you are using 14”x24”, you will only require 98 tiles to cover the same area. The thickness of the slate tile is another thing you have to take into consideration before buying. Standard tiles, which are 3/16” thick, will weigh around 600 to 700 lbs for a 100 sq.ft. area. Thicker slate tiles (½” thick) will be heavier and may require additional roof reinforcement before installation. Every slate 1 tile should have a hole drilled through it to nail it to the roof. Some manufacturers may do the drilling for you if you provide specifications, but be prepared to pay extra. Before beginning, your contractor will determine the center point on the ridge of your roof. On the roof edge, a starter strip will be put in before installing the slate tiles. This strip will extend over the roof edge by 1½ inches or as per manufacturer’s specifications and will raise the starter tiles by the same angle as the rest of the tiles. You can also use copper drip edges with built-in 8 cants. The slate tiles will be then nailed in carefully. The starter tiles are traditionally turned sideways and upside down. This is done for style purposes and does not affect the functionality of the roof. The nails should not be overdriven (which will cause the tiles to crack) or underdriven (nail heads will be raised and rub against the next course). After each course, the exposure of the tiles will be marked using the chalk line to show where the next course should sit. Every course will be staggered to ensure that there is proper headlap and lateral overlap (at least three inches). When one tile overlaps another, that's called overlap. 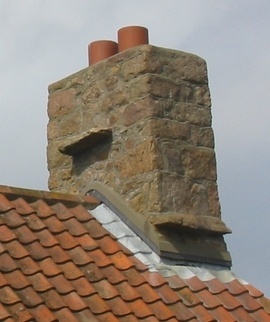 When the top edge of a tile is overlapped by the tile two courses above it, that's called headlap, and it's a critical overlap on a slate roof to keep the water away from the building. On low slopes and ice dam areas, you may have to increase the headlap to four inches and five inches respectively. Ridge tiles will be installed at the end. To avoid breakage and loss, never walk on or sit on slate tiles. Slate roof installation costs vary widely from location to location and level of difficulty in accessing the roof. According to the Craftsman National Home Improvement Estimator, a team of one roofer and one laborer will have to work 11.3-13.6 man hours to install a square unit (100 sq.ft.) of slate roof. Wages are around $36 per hour. 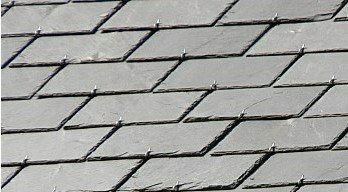 At a minimum, slate 1 roof installation will require additional materials such as a ladder, tape measures, stainless steel or copper roofing nails ($11 for a 110-pack), ½-inch thick and 1-inch wide slate starter strip ($40 for a 19-sheet bundle), chalk line, slate hammer, nail belt, slate ripper ($40-$90), and drill with ⅛-inch masonry bit. 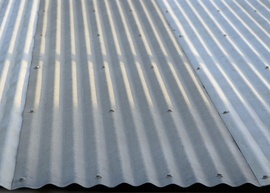 Flashing 9 materials (sheet metal joints installed between various roof planes such as chimneys, vents, and skylights) should be made of good quality copper or stainless steel and will cost around $10-$20 for a 10’x10’ area. 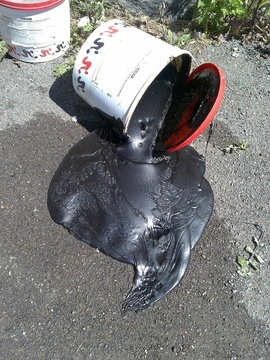 If you are replacing an existing asphalt 4 roof, be prepared to pay extra ($3-$8 per sq. ft.) for stripping to roof sheathing and disposing of all waste material. 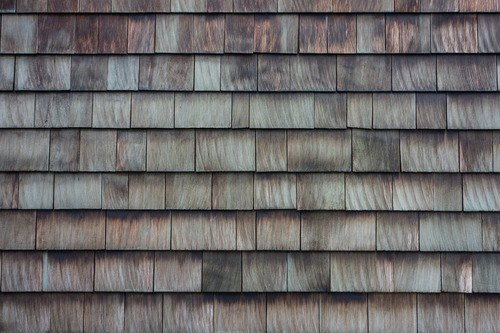 If your existing slate 1 roof is still in good condition, talk to an expert to find out if it can be restored ($3,000). A minor slate roof repair (fixing incorrect installation) will cost around $550-$1,500. Homeowners who live near a location where slate 1 is produced or manufactured, for example, Virginia, parts of Northeast United States, and South Canada, may see significant cost savings due to reduction in shipping costs. Ask for at least 3-5 estimates before hiring a roofing contractor to compare prices and make sure you are getting reasonable pricing. Verify that the contract has an itemized and thorough description of the types of slates 1 (size, thickness, color, origin, etc. 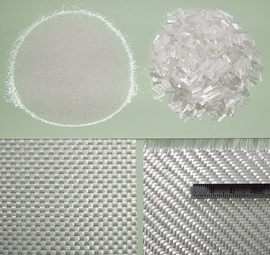 ), headlap, length and gauge of nails, type and gauge of flashing 9 material, and cant that will be used in the project. Do not leave any details to chance. Obstacles on the roof such as valleys, dormers, and steep inclines will slow down the installation process and increase the number of man-hours, leading to higher labor costs. Roof installation on two-storey houses is typically more expensive because it is more difficult for workers to access a higher roof. If your roofing framework requires additional reinforcement to bear the weight of the heavy slate tiles, it can increase the costs by $1,000-$10,000. How much does it cost to repair a slate roof? Depending on the extent of damage, you may have to spend anywhere from $550-$3,000 to repair your slate 1 roof. How much is a slate roof tile? How much is a synthetic slate roof? 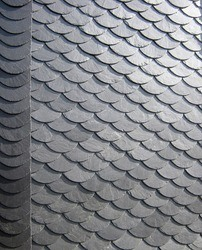 Slate roof tiles cost around $8-$12 per sq.ft. 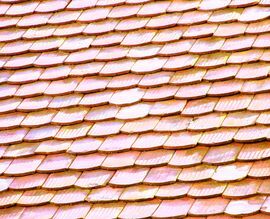 A synthetic slate roof cost around $2-$7.50 per sq. ft.
How many years does a slate roof normally last? A properly installed and maintained slate roof can last 150 years or more or even outlive the home it was laid on. Why would you use slate for a roof? Many homeowners choose slate for a roof because of its attractive appearance, durability, and longevity. What are slate roof tiles? 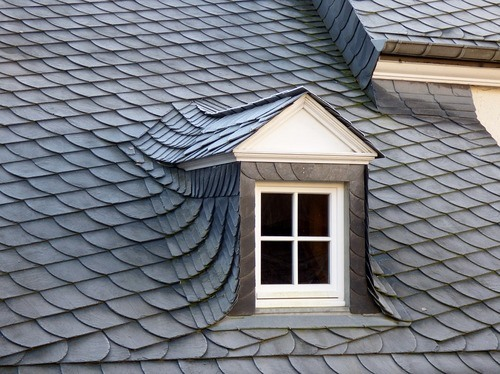 Slate roof tiles are made from slate, a 100% naturally-occurring metamorphic rock. What is synthetic slate made of? Synthetic slate is usually made of a combination of plastic and rubber or plastic and polymer. You can also buy asphalt 4 tiles that look like slate roof shingles 3 but are actually made from pressed and weather-treated paper and wood fiber. Clay-based tiles, steel tiles, and fiber cement 5 tiles are other synthetic slate options. How much does it cost to install slate roof in my city? Cost to install slate roof varies greatly by region (and even by zip code). To get free estimates from local contractors, please indicate yours.